Two men in their 30s killed in car explosion in the Hatikva neighborhood of southern Tel Aviv. 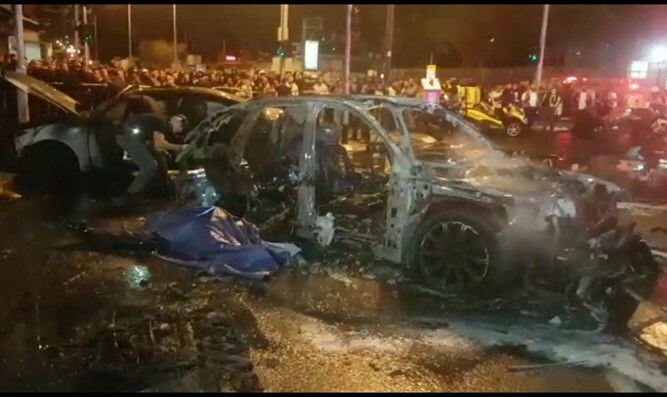 Two men in their 30s were killed on Sunday evening when a car exploded in the Hatikva neighborhood in southern Tel Aviv. Magen David Adom paramedics who were called to the scene waited for firefighters to extinguish the vehicle, which went up in flames, before pronouncing the two men dead. Police said that incident was criminally related, and have launched an investigation. Another car that was parked nearby sustained damage.